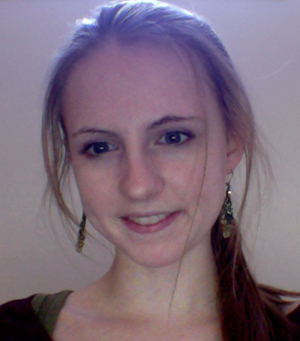 Junior Vienna Wagner, an English major in Notre Dame’s College of Arts and Letters, has won a 2014 Beinecke Scholarship. Awarded to students who show “exceptional promise” to become leading scholars, the scholarship supports graduate study in the arts, humanities, and social sciences. While approximately 125 U.S. colleges and universities are invited to nominate one of their students for the award, only 20 recipients are chosen each year. Wagner is the fifth Notre Dame student to receive the prestigious award in the last seven years. Wagner said she first learned she had won the scholarship during a fiction writing class when Professor Valerie Sayers, chair of the Department of English, announced it to the class. The scholarship will not only help support Wagner during her graduate studies, but also provides funding for her to visit graduate schools as she researches and selects a program. Wagner, whose English major includes a concentration in creative writing, plans to pursue an MFA in poetry or fiction writing and is looking into Ph.D. in literature programs. Following her graduate studies, she would like to teach creative writing and American literature at a liberal arts college. Although she began her undergraduate career as a pre-med student, Wagner said she felt drawn to writing and literature, and changed majors after her freshman year. Outside of the classroom, Wagner has sought many opportunities to further develop her writing skills. 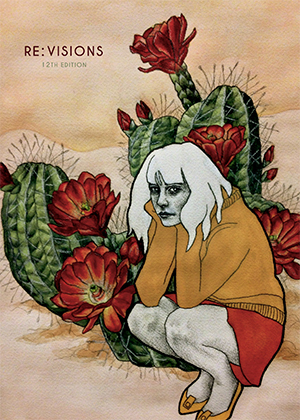 She serves as a writer and editor for Re:Visions, a student magazine published by the creative writing program. The summer following her freshman year, Wagner interned at the non-profit Indiana Writers Center where she gained experience in editing, publishing, and teaching elementary and middle school students. Her faith, Wagner said, is an integral part of her Notre Dame education. On campus, she volunteers with Iron Sharpens Iron, a student-led Christian fellowship program, and serves as a mentor-in-faith for Notre Dame Vision, a program within the University’s Institute for Church Life, which encourages students to consider and respond to God’s call. Wagner will work with other Notre Dame Vision mentors on campus this summer, leading groups of high school students during a series of week-long conferences exploring the role of God in their lives. With funding from the Undergraduate Research Opportunities Program (UROP), Wagner has also completed two independent research projects while at Notre Dame. For the first, she visited local monasteries and investigated prominent figures in Catholic history in order to write a collection of poems about Catholic saints. For her second project, Wagner worked with Assistant Professor Matthew Wilkens and a team of graduate students using new techniques to perform computational literary analysis. Wagner plans to conduct two separate thesis projects during her senior year—one researching American author Flannery O’Connor, and a second creative project for which she will write a collection of poems focused on faith in the face of violence and poverty. Originally published by Ben Horvath and Carrie Gates at al.nd.edu on May 13, 2014.